Diamond wheel sharpener with auto reverse. Linear rail guided for accuracy. Max. 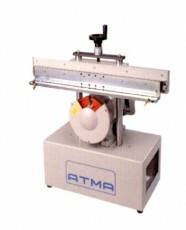 Sharpening Stroke 500mm 19.5" 750mm 29.5"
Machine Dimensions 650mm x 380mm x 680mm 25.6" x 15" x 26.8" 750mm x 380mm x 680mm 29.5" x 15" x 26.8"